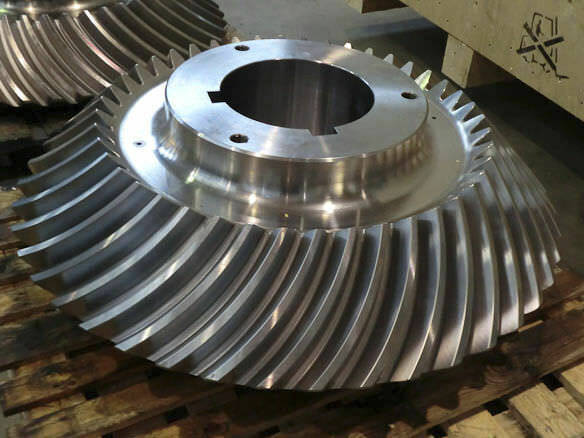 Bevel gear / helical-toothed / hub - Galbiati Group S.r.l. Power Transmission - Mechanical components > Mechanical Transmission > Bevel gear > Galbiati Group S.r.l. 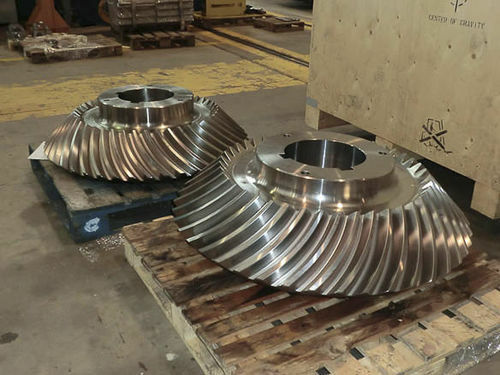 Spiral gear teeth Klingelnberg bevel gears. Galbiati Group recently realized Klingelnberg bevel gears for actuating/control forged manipulators. Form 25,4- 44 teeth steel 30NiCrMo 12 reclaimed, hardness 330 HB.